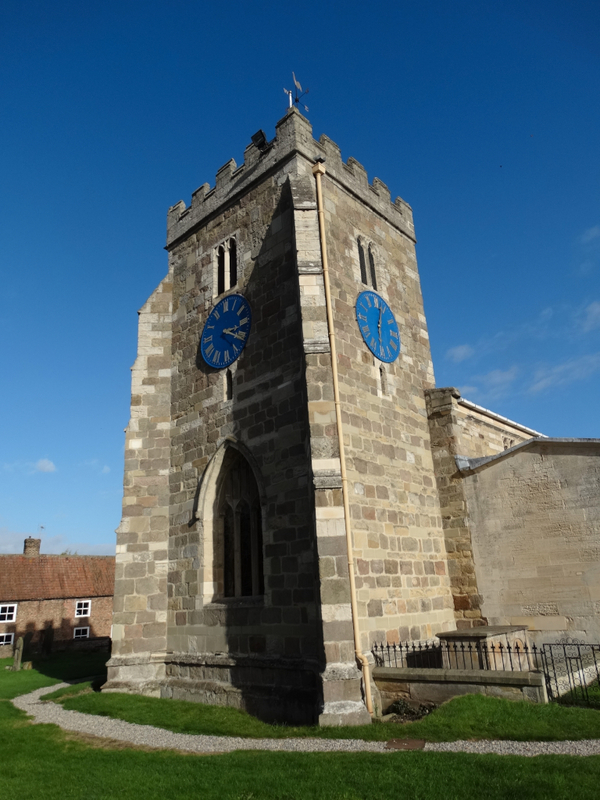 Aldborough is a Roman town, although it is many years since I have visited the English Heritage site – website – I’ll have to wait until next Spring. 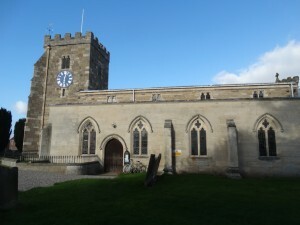 The church of St Andrew is in the middle of the town at SE406664 – website. This is the third church on the site, and there may have been a Roman temple here too. 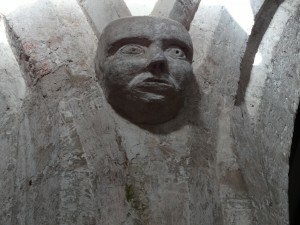 We are in the middle of the Roman town of Isurium Brigantum. 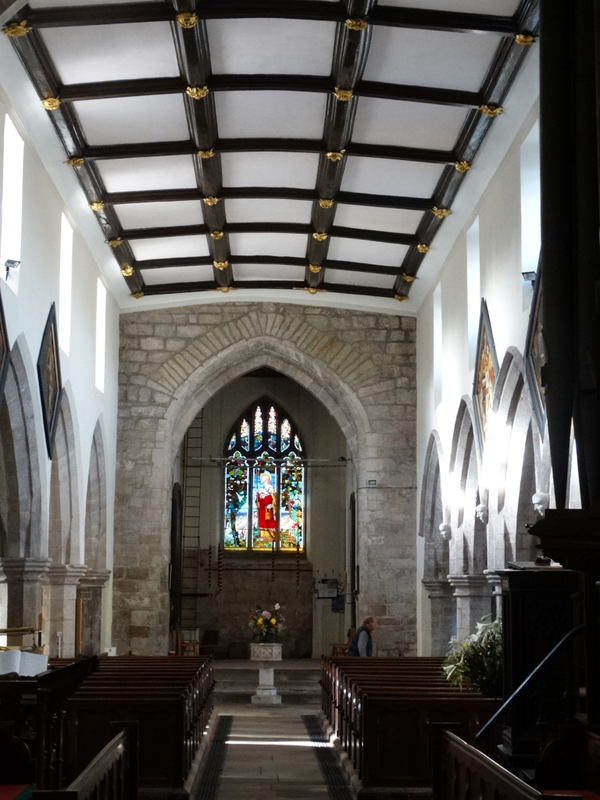 The Saxon church had a huge parish, stretching from the Wharfe to the Ure. 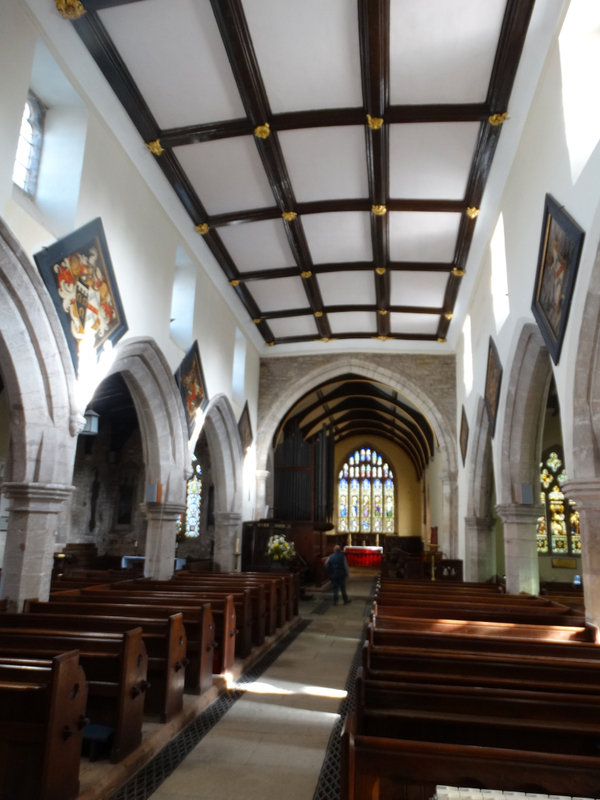 A Norman church was built, which was destroyed by the Scots in 1318. This one was built around 1330. 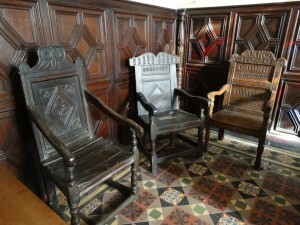 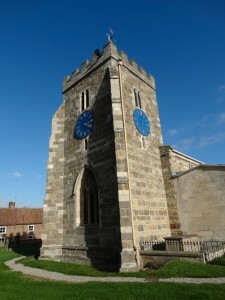 In the C15 it was extended with the Chancel and Tower – Roman stones in the tower. The tower clock dates to 1783 and was the gift of Mark Smithson. 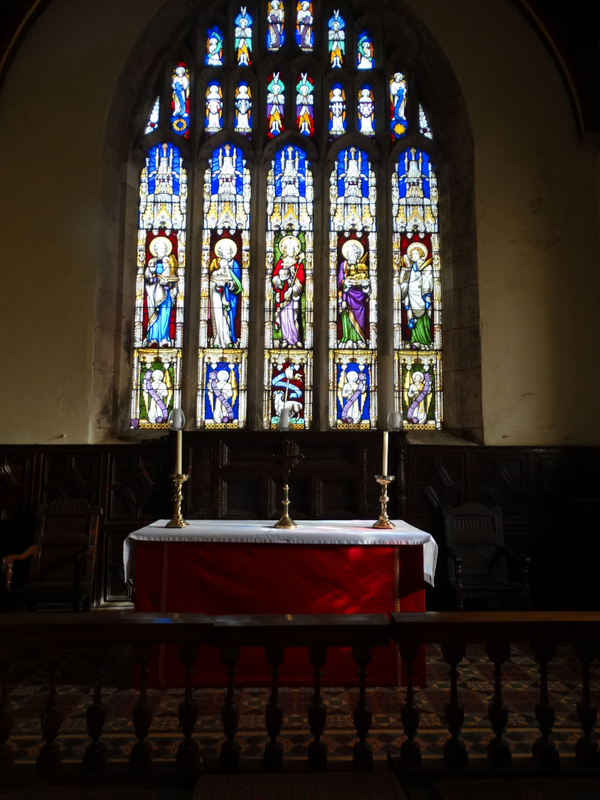 Inside some ladies were polishing the pews, so the smell of furniture polish and the sun shining through the haze added to the atmosphere. 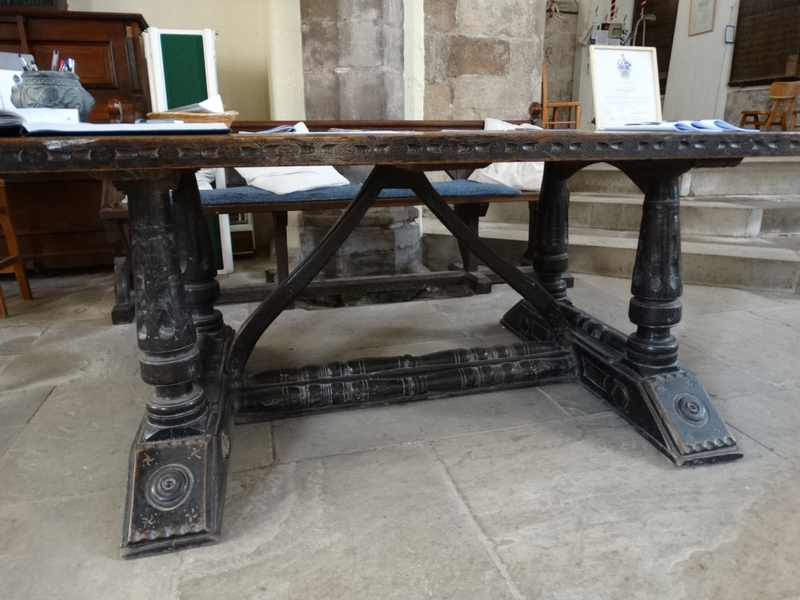 The C16 table which greets you is quite a piece of wood, and the shelf for bread now finds another use. Our supermarkets use the smell of fresh bread to make us feel comfortable – there is nothing new under the sun! 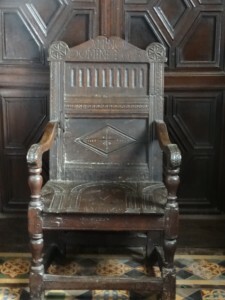 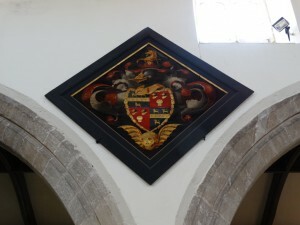 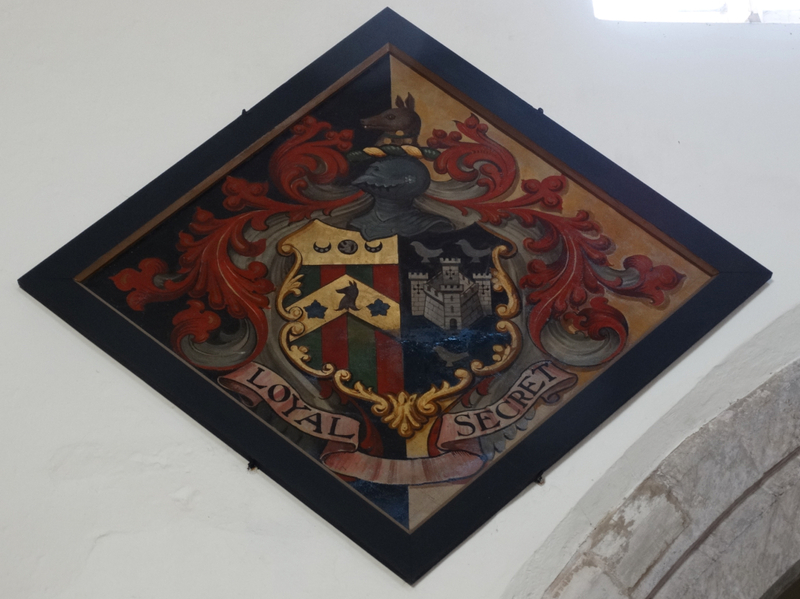 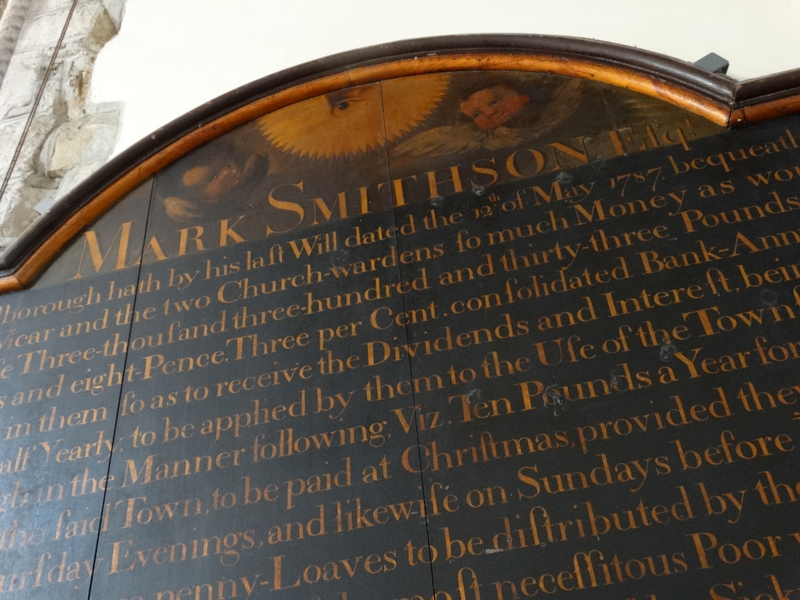 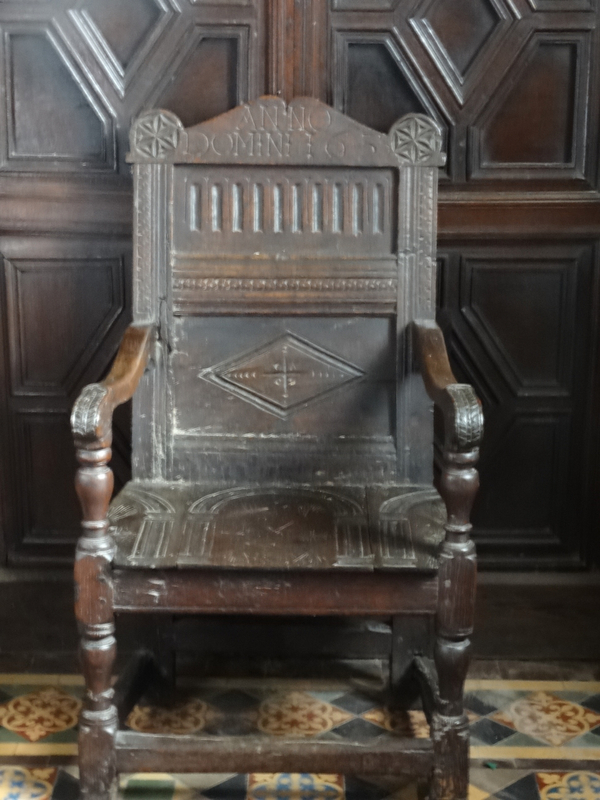 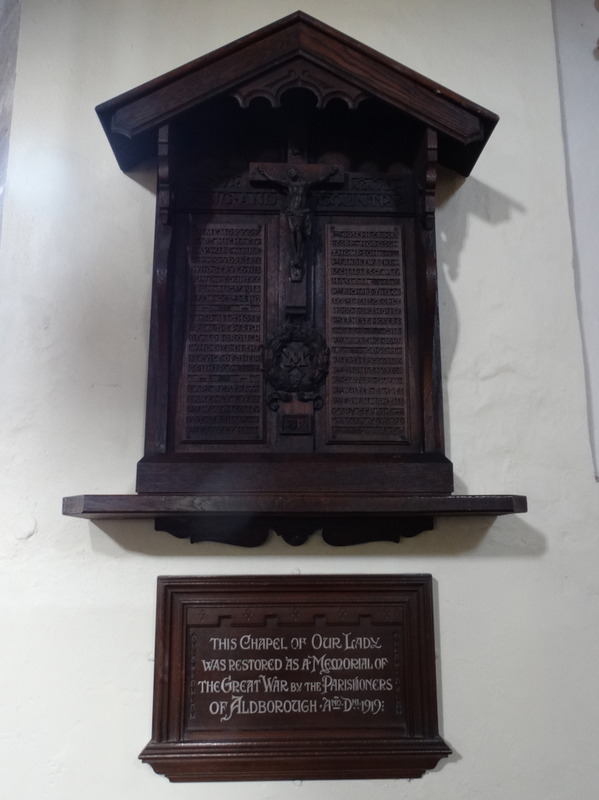 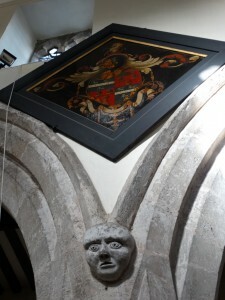 There is a Benefactor’s Board for Mr Smithson in the tower, and a rather nice font. 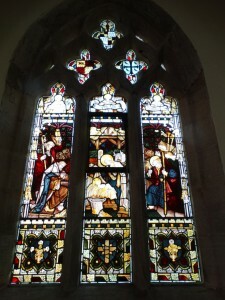 The leaflet describes this as “a window by Hemingway” which gives me not much idea. It’s in the south west corner. 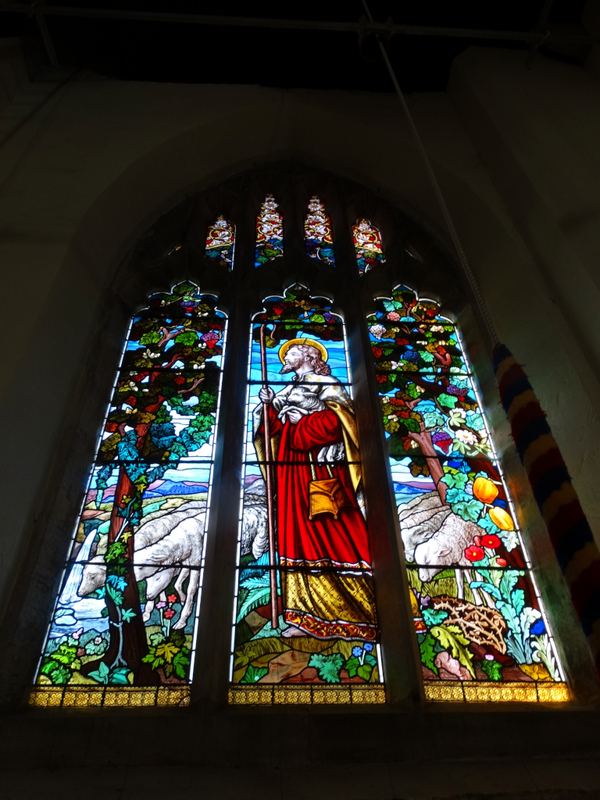 In the Tower is a Good Shepherd window, in memory of George Kelly Holdsworth, Vicar, 1822-63, who transformed the appearance of the Church. 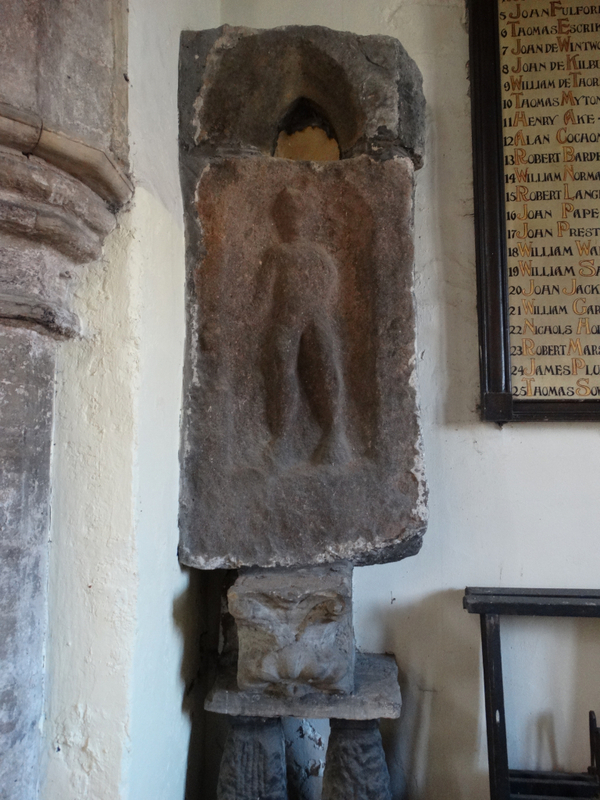 This is a Roman statue of Mercury, which was brought into the church about 1890, having previously been built into the outer East wall of the Vestry. 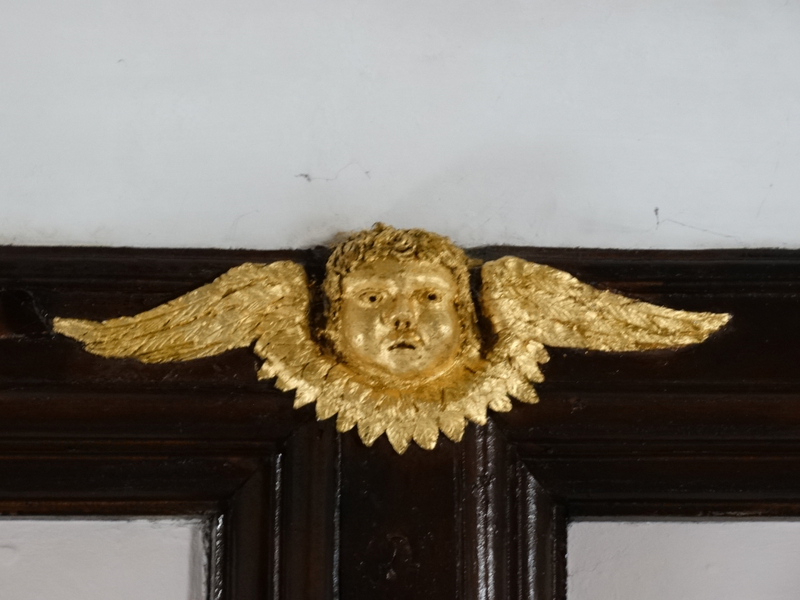 Mercury has lost his wings and his wand, but he is still quite impressive. 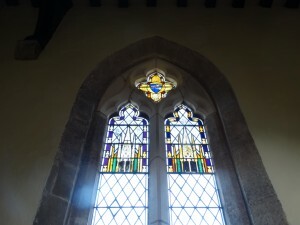 This window in the North Aisle contains “two excellent canopies of alternating yellow towers and chalices on a C19 background”. 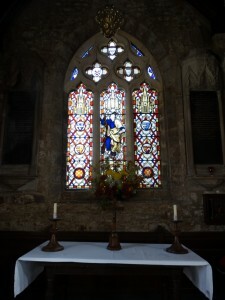 The tracery window above commemorates the Rev. Edward Maurice, Vicar 1677-1720. 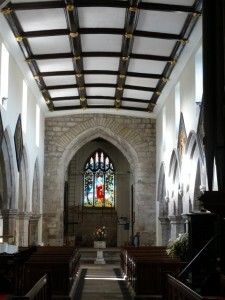 It was painted in 1700 by Henry Gyles, a famous York glass-painter. There is a War Memorial, another memorial, and the north aisle altar is the place of the original Chantry Chapel of the Annunciation of the Blessed Virgin Mary. 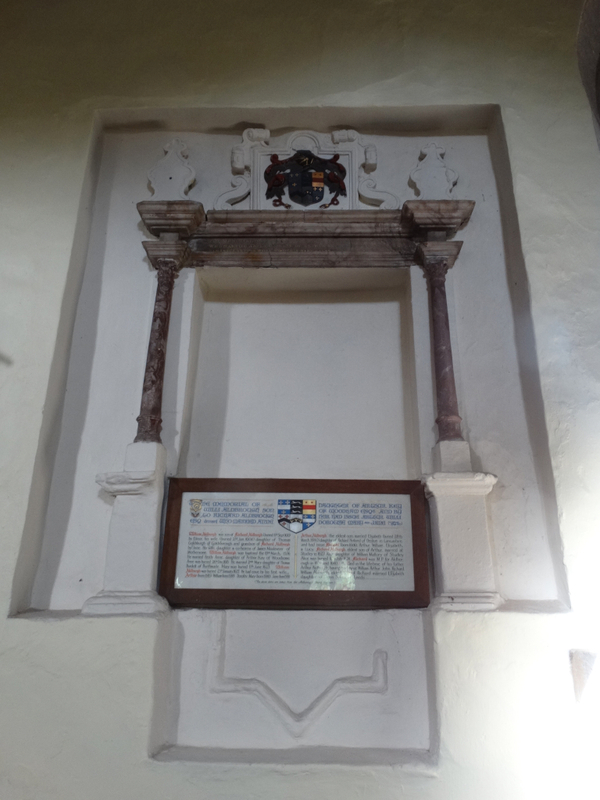 It was founded in 1333 by Sir Richard de Aldeburgh, a High Court Judge, so that masses might be said for his soul and for the remembrance of his family. 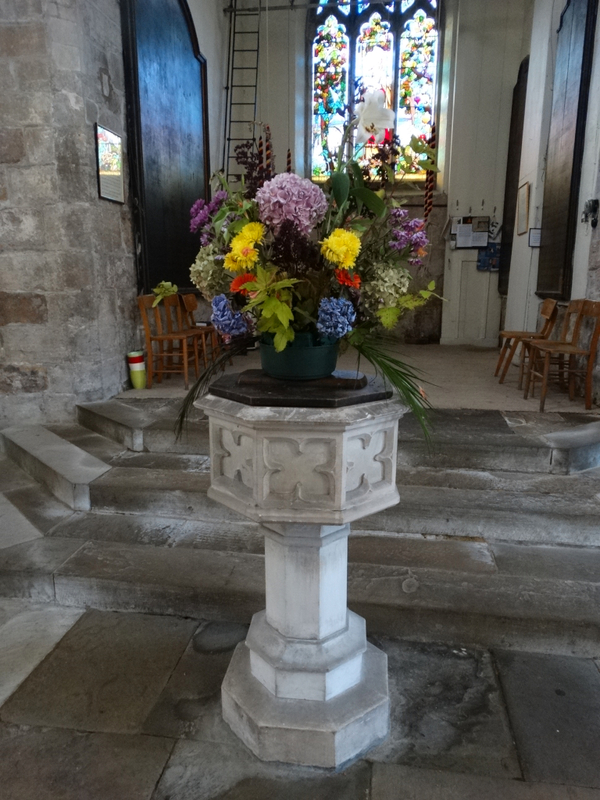 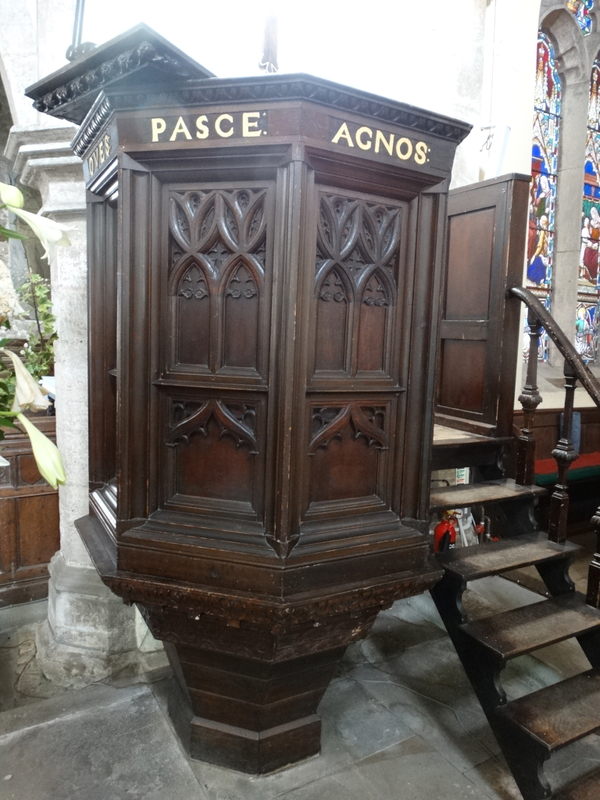 This pulpit was erected in its present place in 1865. 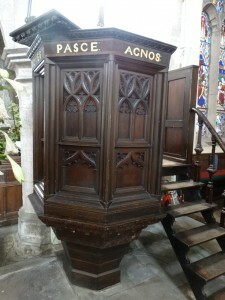 It was made from the original three decker pulpit – removed as part of the 1865 redesign. 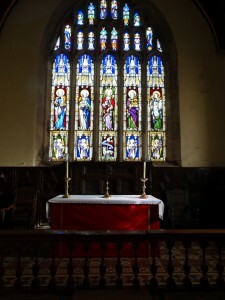 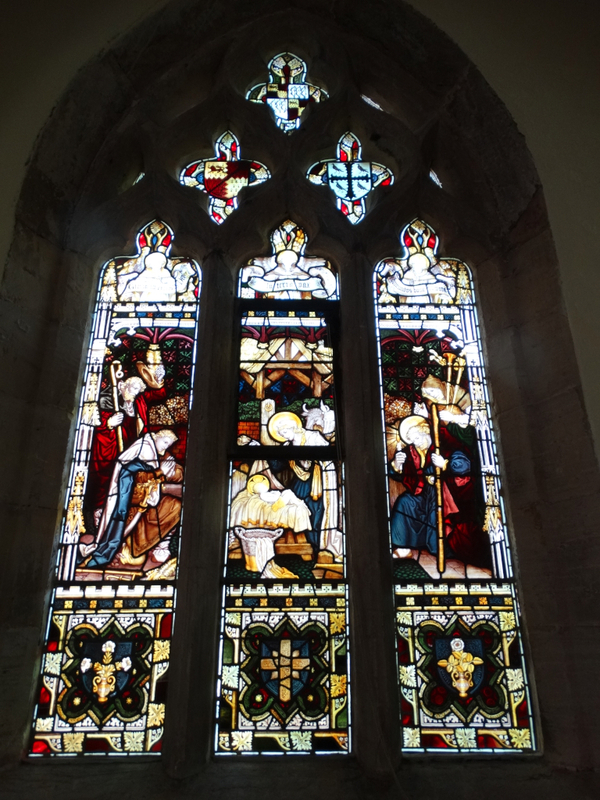 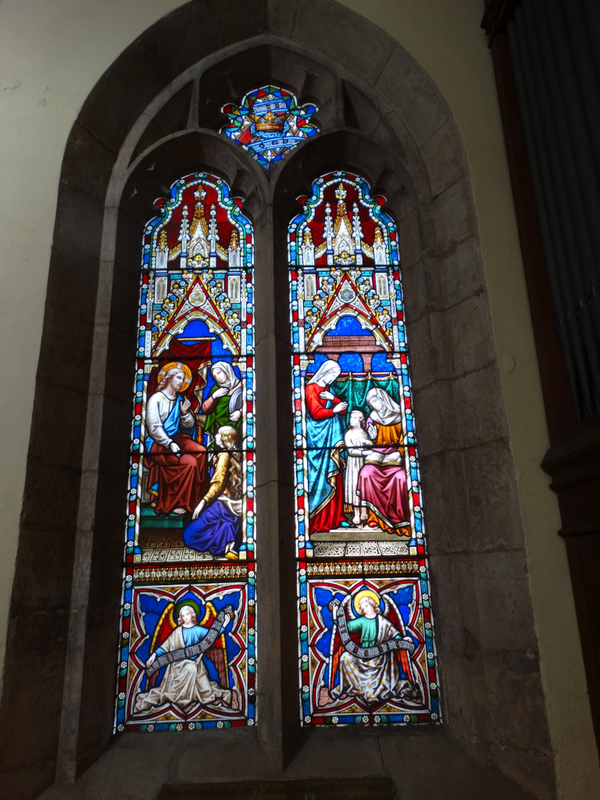 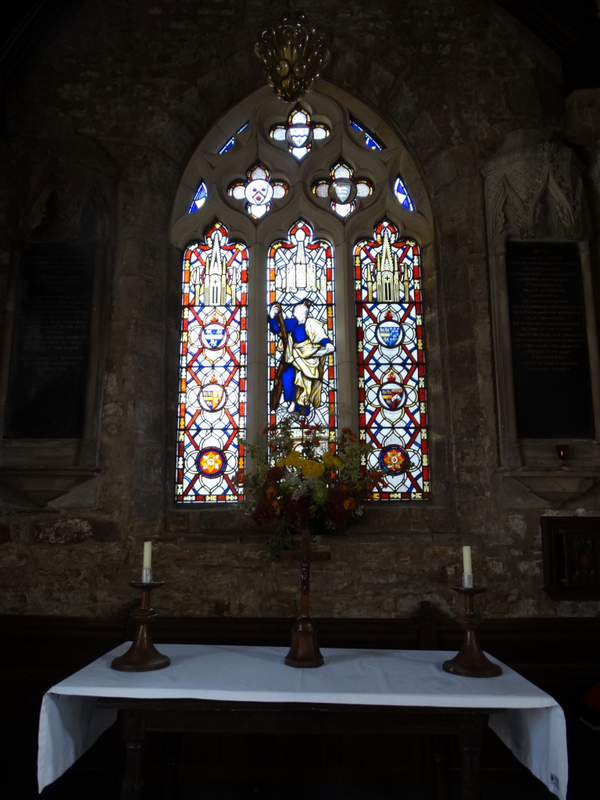 The Chancel has some nice Victorian glass – the East Window is by Wailes – and some lovely furniture. 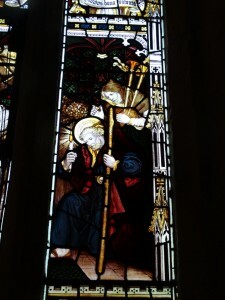 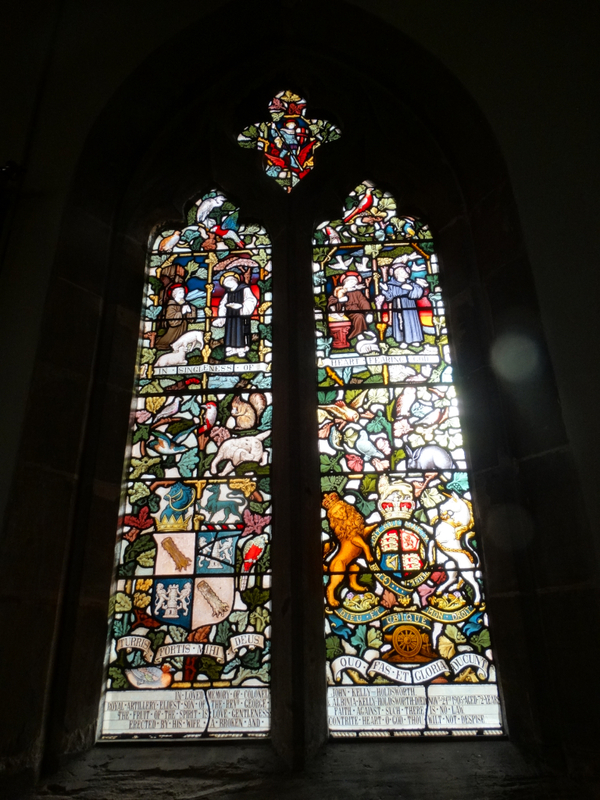 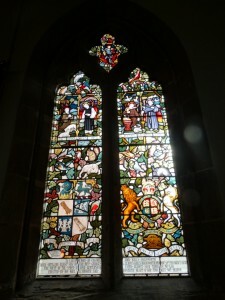 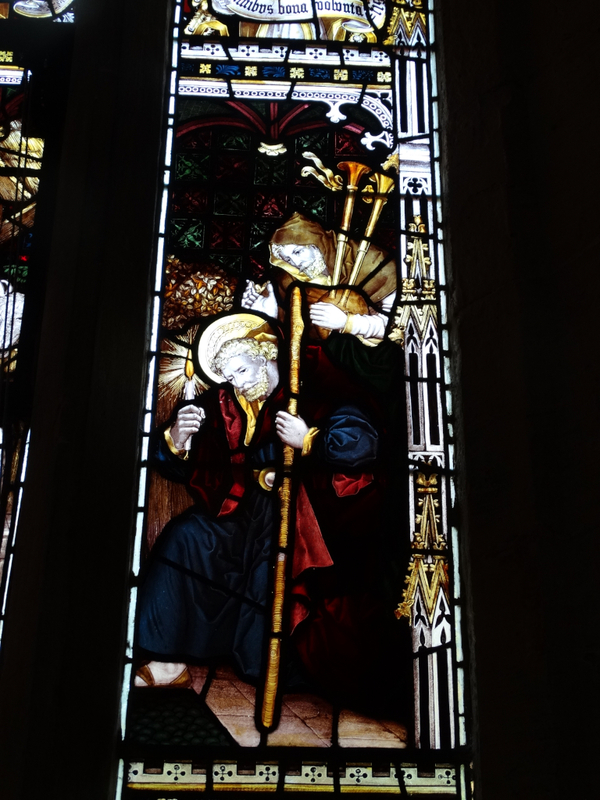 A Nativity window shows shepherds with bagpipes – slightly ironic when the Scots burned this church down … . 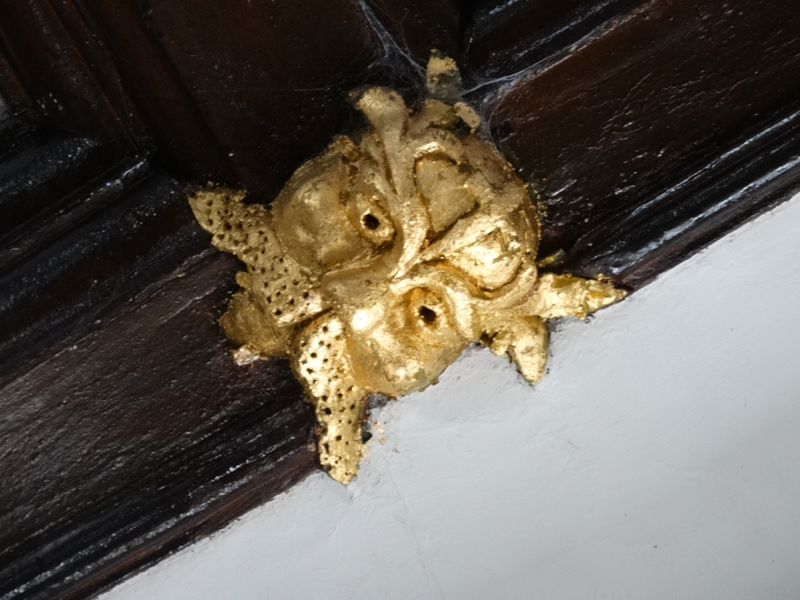 The brass is of William de Aldeburgh, circa 1360 – apparently it shows the transition from chain-mail to plate armour. 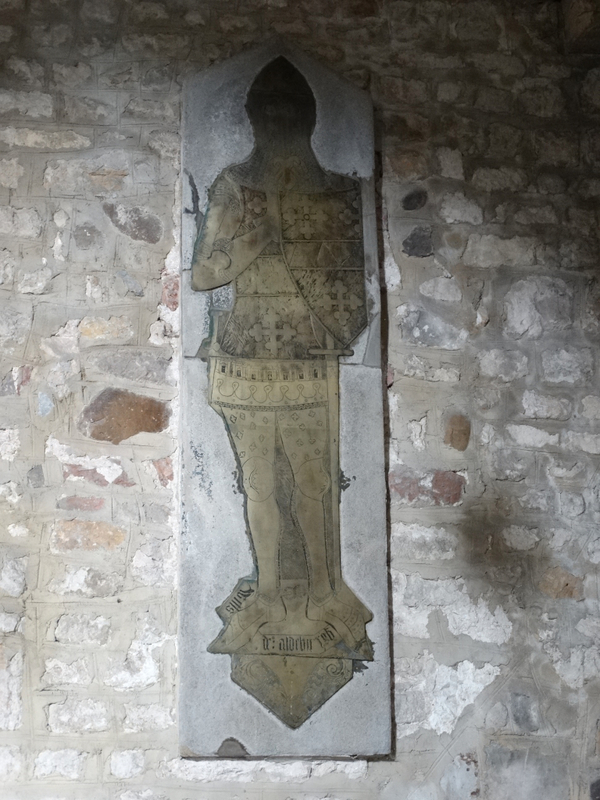 Other families are remembered with boards, and there are some figures in the roof beams. 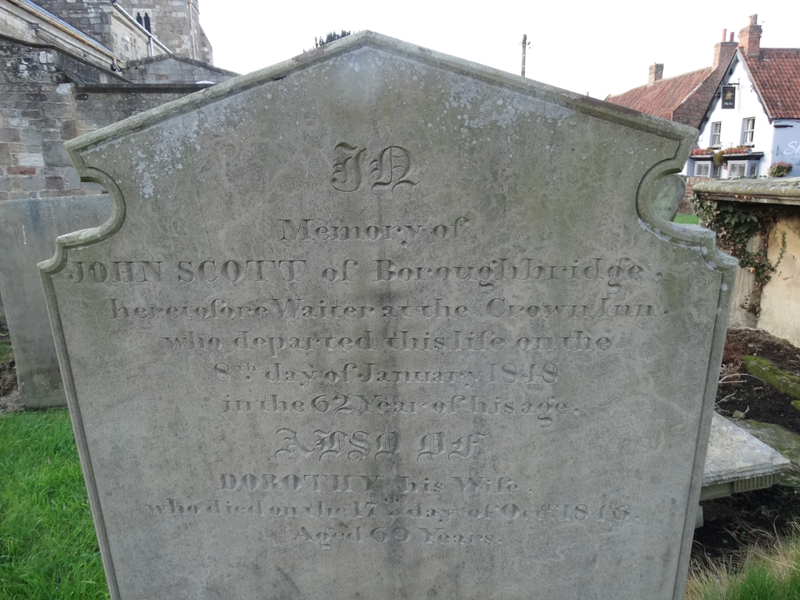 Outside, John Scott of Boroughbridge “heretofore Waiter at the Crown Inn”. 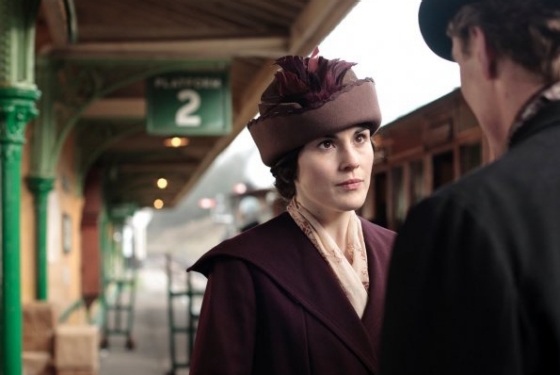 You can imagine him serving the coaches travelling the Great North Road, or the local farmers meeting for Market, or the local aristocracy travelling from Downton Abbey. 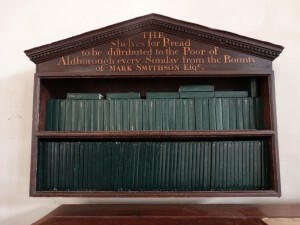 Am I the only one who finds it amusing that the Abbey is not far from York, yet they manage to travel up and down to London so easily, usually from Horsted Keynes station on the Bluebell Railway in Sussex?